For many of us, wellness has become a word that is overused and a concept that can overwhelm. Sometimes it is nurturing, but sometimes it is the fly we can’t get out of the house that buzzes from room to room and overstays its welcome. What do we need to eat more of? What vitamins should we take? How often should we get routine bloodwork done? Say yes to everything that calls to your heart. Practice yoga and meditation. Make room for your spiritual life. Balance, breathe, and become. Still, at the core of wellness is a welcoming that can open our lives to a richer, more fulfilling existence. We just have to be able to know what fits for us. What fits for you may not be hot yoga. What fits for you may not be what the latest research proves. What fits for you may not be what other people say it might be…in fact, it almost never is. There are wellness practices and bits of wonder that have changed my life, but today I want to talk about one of the most important first steps. Listen to your body. Listen to your breath. Listen to the sounds around you. Find time to BE with where you ARE without focusing on yesterday, the list of things to do, or the concerns you have about tomorrow. And before you say or think it, let me add…you do have time. I promise that you have time. Maybe your focused time for listening is before the kids wake up or the upstairs neighbor stirs. 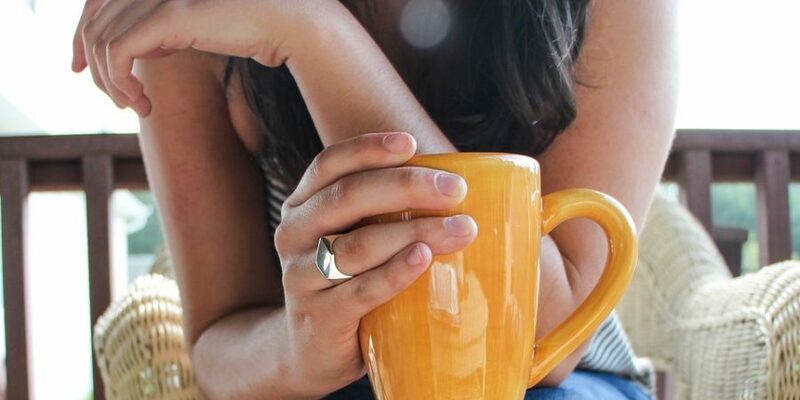 Take your coffee or tea to a quiet space in your house or outside for 15 minutes with no screens, just you, your mug, and the natural sounds around you. This set aside time can be done at any time of the day, as long as you stay consistent with it. When I’m having trouble keeping these date times with myself, I’ll actually add them in my calendar so that I am really committing to the time and space. My challenge is to stay with this practice for two weeks. If you miss a day, be gentle with yourself, and simply return the next day with new energy. At the end of the two weeks, I think you will find that just a little bit of time set aside each day can truly shift your energy. This is the softening work that I think is so important before considering deeper practices that may lead us to a more balanced place. Often for me, a line of music will come. Other times, I find myself in prayer, not really sure how I got there. Most times, I am doing nothing but sitting with myself and the space around me just taking in the moments. And those moments of nothing are some of the best doing I do all day. Consider what time you will set aside, not for activity, to-do lists, or someone else, but for YOU. Listen.